In doing some research on where to have dinner in our only night in Washington DC, my friend I came across a restaurant called the Founding Farmers. Just like the name suggests, the restaurant is owned by American family farmers and focuses on making dishes using ingredients and produce that are grown using sustainable practices. They even distill their own spirits of rye, gin and pisco. 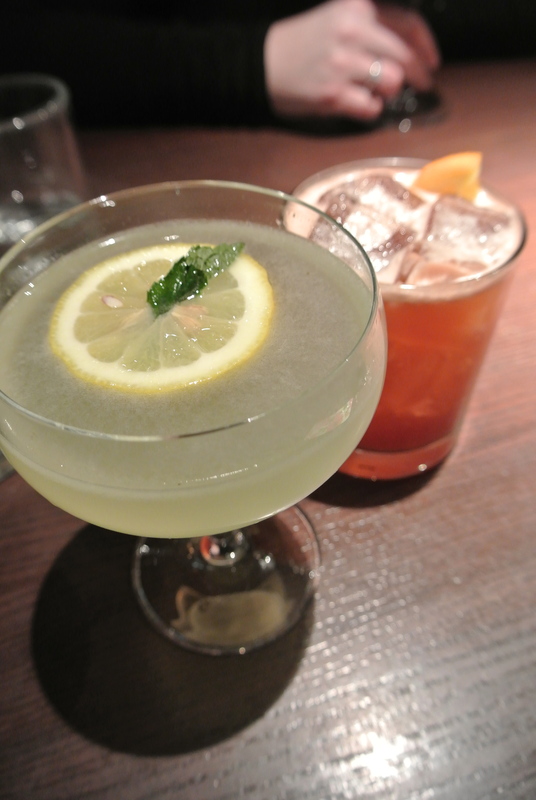 I love gin and I love cocktails that are on the fruity side so the server suggested the Farm Daisy which is made with the farm gin, green chartreuse, lemon and lemongrass – tart and not too sweet, just how I like it. The best part of the meal though was the appetizer. A plate of glazed bacon lollis where short strips of bacon are speared on wooden skewers and candied with cinnamon, nutmeg, brown sugar and all spice – these really were like lollipops. So simple, I’m actually thinking about trying to make these myself. My main dish of the roasted pork chop was good but according to I and S who both had the roasted tomato soup, apparently it was to die for! This just gives me an excuse to go back for another visit to Founding Farmers and Washington DC. 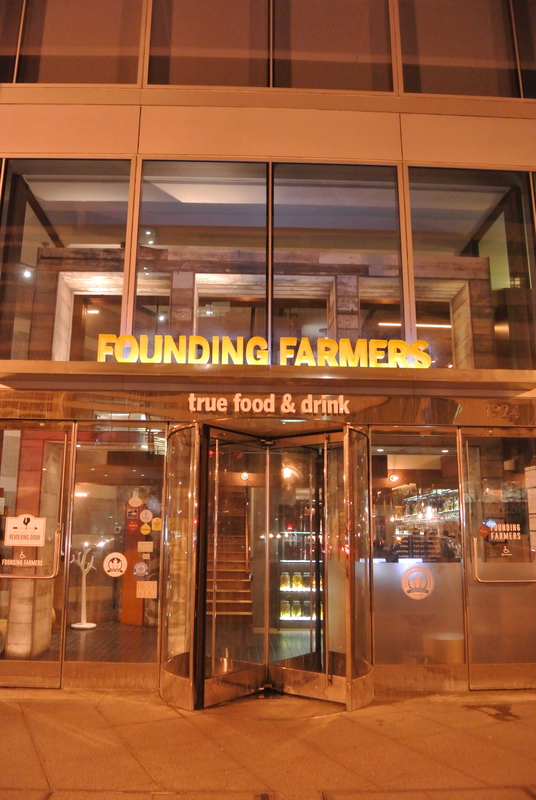 Founding Farmers located in Washington DC. 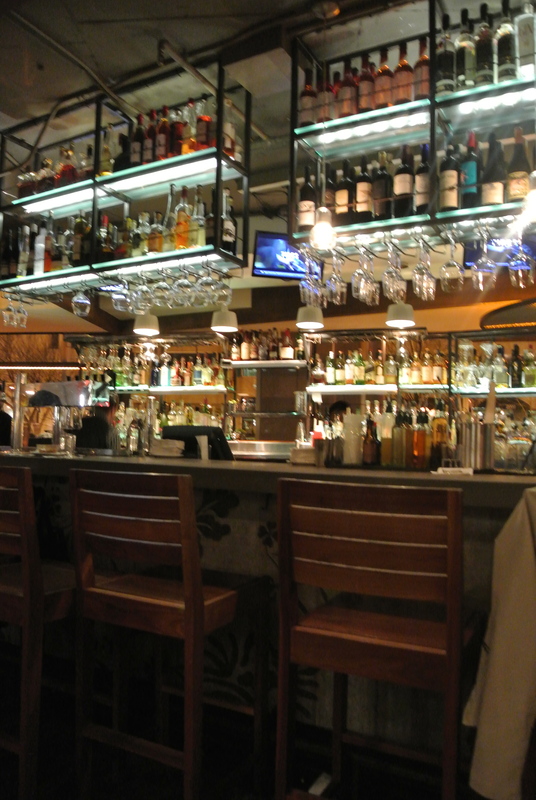 The beautifully stocked bar at Founding Farmers. 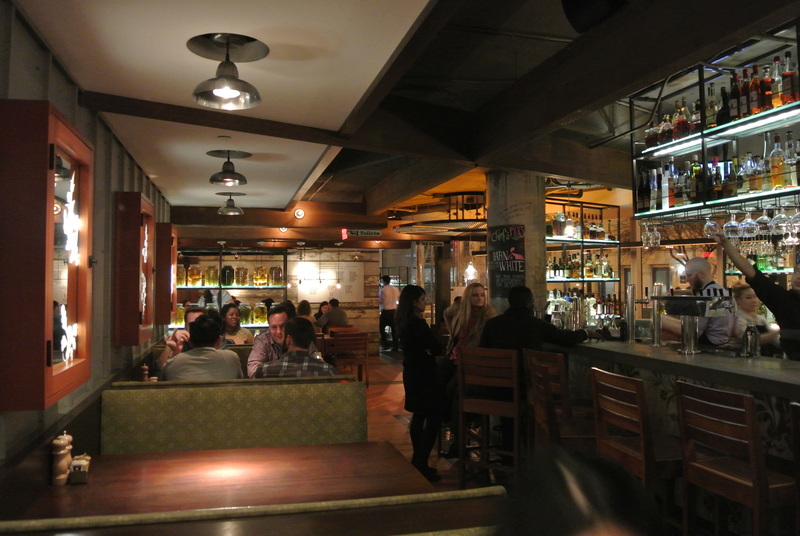 Inside the Founding Farmers Washington DC location. A cocktail to start – because I love gin, I started with the Farm Daisy which is a combination of gin, green chartreuse, lemon and lemongrass. 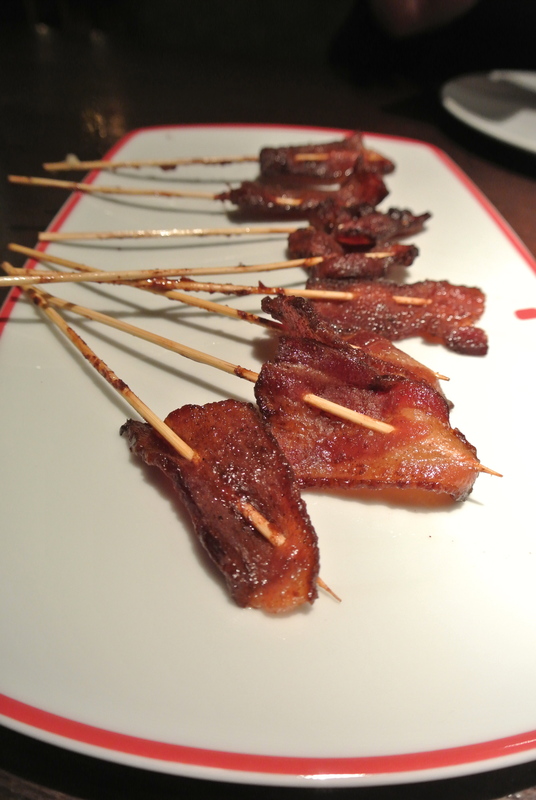 One of the best appetizers I’ve had in awhile – Glazed Bacon Lollis. 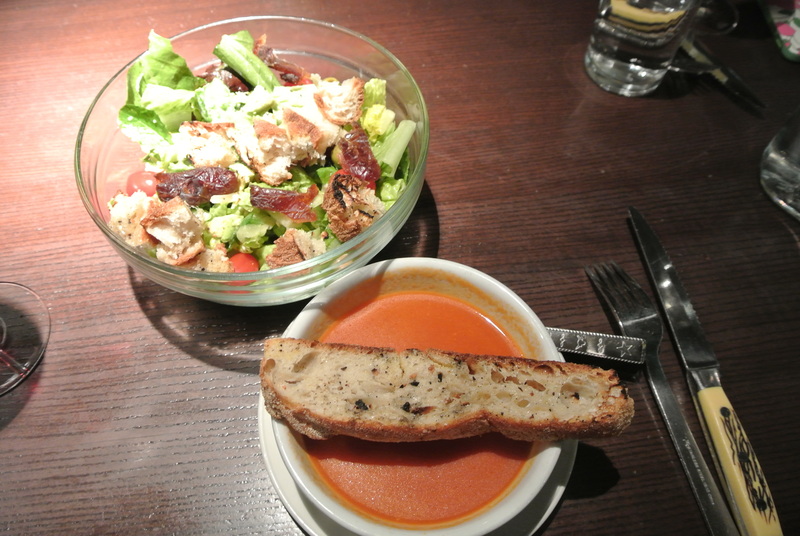 The soup of the day, roasted tomato soup, and a side of mixed greens salad. 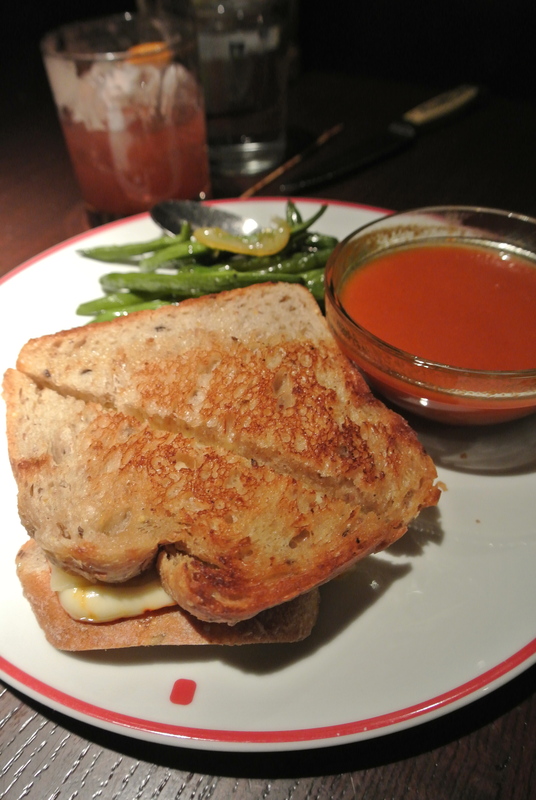 Grilled cheese with roasted tomato soup. 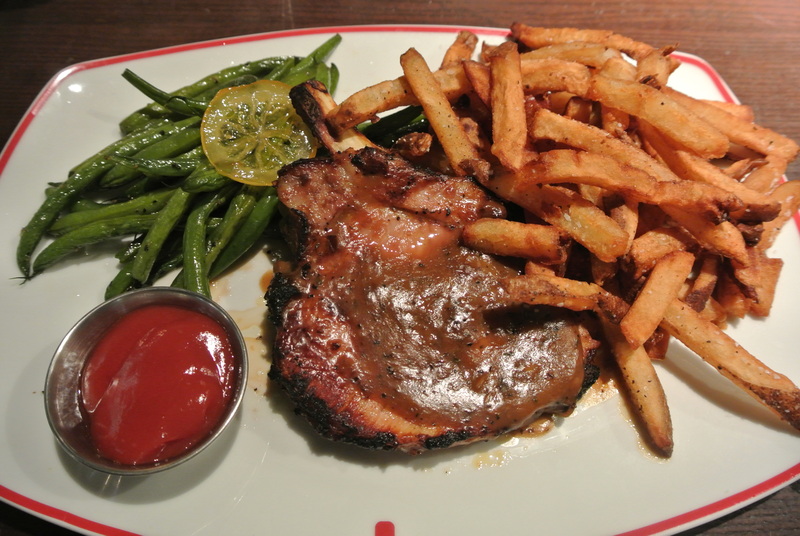 My main dish was a long roasted pork chop with fresh green beans and fresh cut fries.